The end of the Thanksgiving holiday signals the beginning of the Christmas holiday season. As Christmas begins, it is time to decorate your home. Lights hung inside and out give your home a festive feel. However, hanging lights can lead to great frustration if you do not know what you are doing. If you want to hang lights around your windows, knowing the easiest way to do it will make the planning and execution quick and painless. 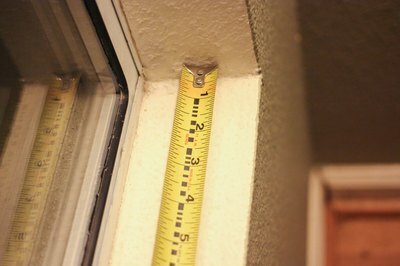 Measure the inside of the window frame where you want to hang the lights. Knowing the size helps you determine how many strands of lights you will need. Depending on the size of the window you may need to attach two strands of lights together. Purchase enough light strands for each window. 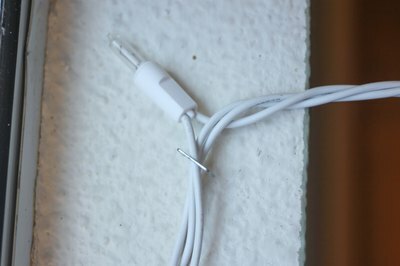 Stretch an outdoor extension cord from a power outlet to one of the bottom corners of the window you will be hanging the lights in. You may need several extension cords depending on the location of the window in proximity to a power outlet. Use the fewest extension cords possible. Attach the lights to the inside of the window frame using a staple gun. Run the lights around the inside frame, starting with the bottom corner closest to the extension cord. Place the staples so that arms of the staples go on either side of the light’s cord and not through it. If there is any excess in the light strand, double it back over itself, stapling as you go. 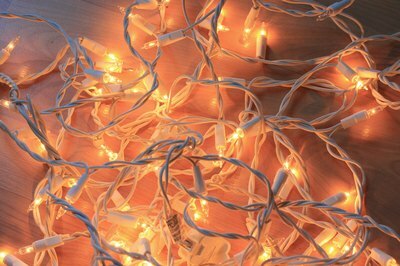 Inspect all strands of lights to ensure there are no cracks or exposed wires. Replace these if they exist. Test all light strands before hanging them. 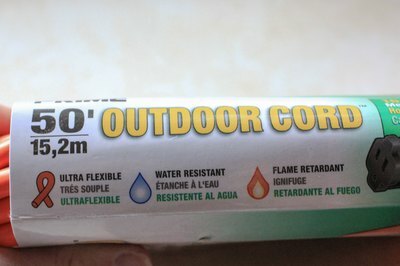 This prevents the frustration of hanging all your lights only to find out they do not work. To test them, plug them into an out light. If they light up, they are fine. Use outdoor Christmas lights for safety. These can handle the elements. When you are ready to take the lights down, use pliers to remove the staples. You can use Sticky Tack to apply the light strands instead of staples, but it does not hold as well. Window suction cups can also be used for indoor lighting. Just stick the cups to the window pane and hang the lights on the hook. Do not plug the lights in until after you have finished stapling them in place.